Military life presents unique circumstances and issues for our service members and their families. Can we really make a difference for them? YES, we can! 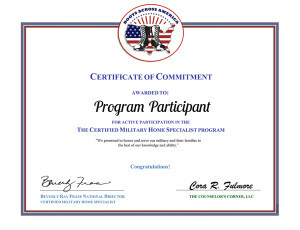 Register here for the Certified Military Home Specialist Course. 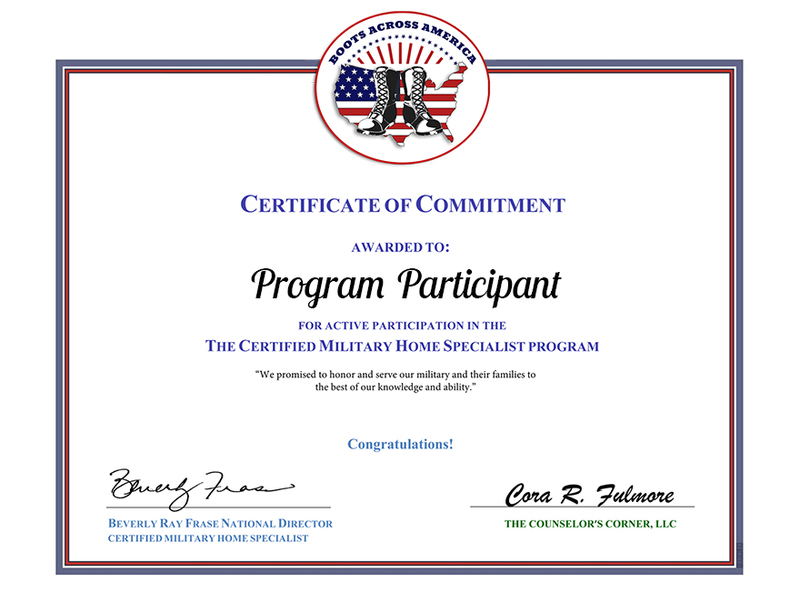 In 2009, Beverly Ray Frase wrote the first Certified Military Home Specialist Course and she has been training housing professionals across the nation ever since. The CMHS course provides all housing professionals the tools needed to provide the highly skilled assistance our service members have earned and deserve. With 70+ different pay categories, their housing and budgeting needs are complex, yet anyone who provides services to them should have a clear and accurate understanding of how to work with them. Affordable and sustainable mortgages are more likely to remain viable, keeping foreclosures down, neighborhoods lively and home values stable. Accurate income calculation is imperative for the positive outcome of any loan, and the Certified Military Home Specialist course can help you do that. The CMHS course provides a way for our communities of lenders and housing professionals to work together to prevent foreclosures nationwide. With teams of “local military experts,” entire communities can work together toward better neighborhoods for all. Service members and their families appreciate this information too! Lenders and housing professionals everywhere are working to create or enhance their military departments. The economic struggles of our nation have taken their toll on our service members, adding extra burden to the missions these American heroes courageously and consistently achieve. While they serve and protect our freedom every day, let’s do our best to give back in whatever ways we can.